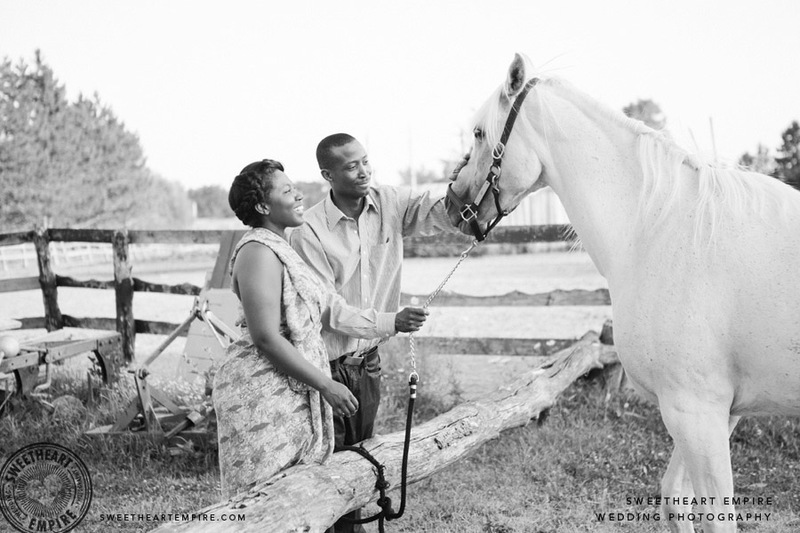 Daniella and Jean wanted to visit a horse ranch for their engagement photos - I couldn't have been happier! We discovered the Silver Spur Ranch in the beautiful Kleinburg area, and wandered the grounds as the sun began to set. There's little I can add to the majesty of this setting, and even less for the happy giggling and joyful laughter and energy between this lovely couple. The smiles speak for themselves. Daniella and Jean, we had such a wonderful time photographing your horse ranch engagement photos.... and witnessing the giggles and sweet lovin' between you. Thank you.